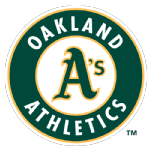 From the white elephants of the east coast to the green and gold of the west coast, the Athletics have had a colorful and successful run in the American League, witnessing its birth and leading its geographic expansion to the Midwest and west coast. Along the way, the Athletics have done much to influence and shape the destiny of the national game. For its inaugural season of 1901, the American League awarded a franchise to Philadelphia and the Shibe family, which had made its name in the sporting goods business. Connie Mack, a serviceable catcher in the 19th century, became the man to oversee baseball operations for the team, and he proceeded to do so for the next 50 years, a record of longevity unmatched in the game. In 1902, Lajoie was gone to Cleveland in a legal dispute. But Mack led his team to its first pennant behind legendary aces Rube Waddell (24-7, 2.05) and Eddie Plank (20-15, 3.30). Because the World Series was not devised until 1903, the Mackmen had to wait until their 1905 pennant to participate in a fall classic. They got there behind the spinning of Waddell (26-11, 1.48) and Plank (25-12, 2.26) and a young Chief Bender (16-11, 2.83). Philadelphia lost the series to the New York Giants 4-1, a bitter pill to swallow since it was Giant manager John McGraw who had disparagingly labeled the Athletics as "White Elephants" when they were formed, a less-than-generous evaluation of the team and Mack's ability to manage it. Mack built one of the league's first real dynasties, moving into Shibe Park (later Connie Mack Stadium) in 1909, and winning world Championships in 1910-11-13 behind the famous "$100,000 infield of Stuffy McInnis, Eddie Collins, Jack Barry and Frank "Home Run" Baker - solid players all, with Collins the leader of the pack hitting .322, .365 and .345 in the championship years. The team steamrolled to another American League pennant in 1914, but they were swept by the miracle Boston Braves in the Series, still considered one of the biggest upsets in baseball history. Mack, always operating on a noose-tight budget, decided he could not afford to keep his championship team intact. He took the team apart so quickly that the Athletics plummeted to last place in 1915, and lost a then-record 117 games in 1916. Things didn't improve until the mid 1920's when Mack began to assemble the greatest team of his tenure. The Athletics won three consecutive pennants in 1929-31 behind a sledgehammer of a lineup featuring Jimmie Foxx, the most prolific right hand home run hitter of his time. The burly slugger averaged .342 in these three years, totaling 100 and 393 runs-batted-in. Foxx was backed by the equally fearsome Al Simmons, who averaged .378 during this three-year span, getting 200 or more hits each year, totaling 92 home runs and 450 RBI. Catcher Mickey Cochran would hit .331, .357 and .349 and handle a first-rate pitching staff led by arguably one of the best southpaws in American League history, Lefty Grove. Grove would win 20, 28 and 31 games in this span, leading the league in ERA and strikeouts all three seasons. With Rube Walberg and George Earnshaw sharing starter duties, the A's rarely wanted for a quality start. The Athletics won the 1929 World Series against the Cubs in five games, using an amazing 10-run seventh inning rally to erase an 8-0 deficit and win the pivotal fourth game. They also won in 1930, but lost in 1931, both against St. Louis. Foxx made a run at Ruth's single season home run record in 1932 with 58 homers. He also knocked in 169 runs and batted.349). Grove went 25-10 but the team finished a distant second to the Yankees. Again facing financial problems, Mack began slowly selling off his team rather than pay the salaries commanded by his stars. In the next few seasons Grove, Foxx, Simmons and Cochran would be gone and the Athletics would never know another post season while in Philadelphia. In fact, the team finished last nine times between 1935-46. Mack finally retired after the 1950 season and his sons, now running the team, could no longer maintain the financial viability of a perennial loser. Attendance had slipped badly as had the Shibe Park neighborhood. The Mack family sold the team to businessman Arnold Johnson, who took the franchise west to Kansas City in 1954. The Athletics spent 13 undistinguished years playing at Municipal Stadium in Kansas City. The team never contended or escaped the second division. Charlie Finley bought the team in 1960 and moved it to Oakland eight years later. The A's were shortly on the upswing and soon dynasty would be the watchword. They won five consecutive Western Division titles from 1971-75 and three consecutive world championships in 1972-74. They won with a flair unique to baseball at the time, wearing green and gold uniforms in a baseball world of home whites and road grays; and sporting fancy moustaches and long sideburns. The offense featured a solid lineup including Reggie Jackson, Joe Rudi, Sal Bando and Bert Campaneris. They never put up gaudy numbers, but their pitchers did, especially Jim "Catfish" Hunter, with 21 victories in 1971-73 and 25 in 1974, Ken Holtzman (21, 19 and eighteen wins) and Vida Blue (three 20-plus win seasons). Like Connie Mack before him, Finley could not, or would not, pay the high salary demands of his winning ballplayers and soon his fire sale and free agency stripped the club again. Except for a half-pennant under Billy Martin in the strike-shortened 1981 season, Finley's winning days were behind him and he sold the club to Levi Jeans owner Walter Haas in 1981. Haas' new front office poured money and scouting resources into the club and the A's were talking dynasty again, winning pennants in 1988-89-90. Sparked by leadoff hitter Ricky Henderson (who would set career marks in runs scored, stolen bases and walks) and buttressed by the power of Jose Canseco (the first-ever 40 home run/40 stolen base season in 1988) and Mark McGwire (32, 33 and 39 home runs), the A's pummeled the American League and swept the Giants of San Francisco in the 1989 World Series. The blemish against this dynasty was its losing the World Series in 1988 and 1990 to the underdog Dodgers and Reds respectively. The team slogged its way through the 1990's but was resurrected again by the tandem of General Manager Billy Beane and field manager Art Howe. It won division titles in 2000-02-03 and a 2001 wild card slot. Although they did not get far in postseason play, they had a bedrock starting staff for those four seasons featuring Tim Hudson (69 wins), Mark Mulder (64 wins) and Barry Zito (61 wins) and later Rich Harden. They also developed sluggers Jason Giambi and Miguel Tejada until both sought more lucrative pastures through free agency, and Eric Chavez. They also won their division in 2006, advancing to the league championship series before losing to Detroit. Overall, the Athletics have a record of success second to the Yankees, with nine world championships, 15 pennants, 13 division titles and one wild card slot  much more than John McGraw ever won. Not bad for a bunch of white elephants. Glenn Abbott 1.0 " "
Paul Lindblad 1.0 " "
Rollie Fingers 2.0 " "
On June 14, 1969 , the Oakland Athletics set a team record for hits during a game with twenty-five versus the Boston Red Sox . Did you know that the Oakland Athletics set a team record for runs scored during an inning on July 5, 1996 , with thirteen versus the California Angels in the first (1st) inning?